At the law office of Philip Berlinsky, we handle cases in a range of personal injury practice areas. With over 28 years of experience, we understand the intricacies involved in a personal injury claim. The legal team at Philip Berlinsky Law is prepared to act as a guide to clients looking to file a claim for their personal injury. Our law firm can offer legal assistance to cases involving auto or motorcycle accidents, personal injury, medical malpractice, workers' compensation, and criminal defense. We strive to protect the interests of our clients throughout the entire legal process. Philip Berlinsky will provide clients with personal attention to the circumstances of their case. Construction litigation is a practice of law that our attorney enjoys. He has spent many hours working on residential and commercial renovations with architects, builders and code inspectors. Philip Berlinsky’s vast knowledge of construction coupled with his 29 years of insurance litigation experience makes this particular field of law familiar and intriguing to him. As an individual, condominium association or owner of commercial properties, it is imperative that you make contact with an attorney when a potential construction defect surfaces. You have a duty to mitigate your damages. Contacting our law firm early on allows our attorney to assist clients in mitigating their losses, while simultaneously preserving all crucial evidence necessary to obtain a favorable result for his clients. Philip Berlinsky has worked with some of the best builders, property damage appraisers and experts in code enforcement. We offer free consultations for any prospective clients looking to discuss the details of their personal injury with an experienced attorney. 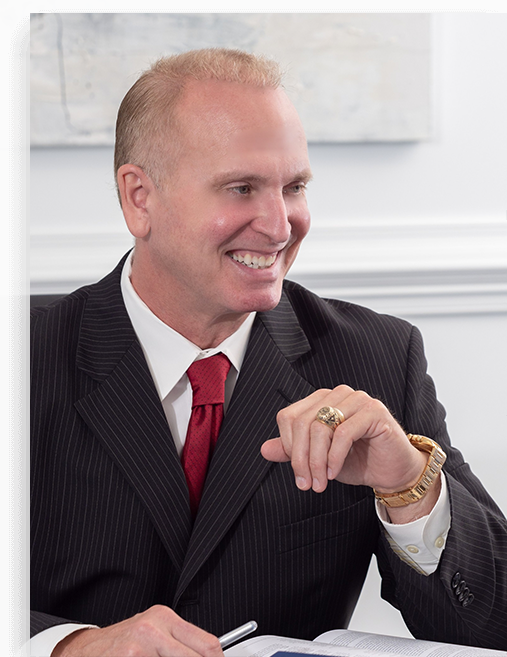 Since 1989, Philip has been supporting Charleston personal injury victims recover from their injuries. Whether an auto collision caused significant injuries, or it was just a minor fender bender, it's important to weigh your legal options. Although no two auto accidents are the same, an experienced personal injury attorney can offer insight into the circumstances of the accident in order to build a case. A motorcycle accident can happen in an instant, and it can result in serious injuries or fatalities. It's imperative to have a personal injury attorney in your court to protect your interests. An attorney can work with law enforcement and private investigators to gather evidence and statements at the scene. Personal injuries can stem from a variety of occurrences, which is why it's crucial to understand your legal rights. Insurance companies generally want to pay little to no coverage for personal injury claims. An attorney can work with individuals involved to help the injured party receive fair compensation for their injuries. If an individual has sustained an injury or death due to the negligence or malpractice of a medical professional, a medical malpractice lawsuit could be filed. This practice area is particularly difficult and time consuming for both parties involved. It's important to obtain an experienced attorney to handle this area of practice. Workers' compensation claims are handled administratively by the place of employment for the injured party. Filing a workers' compensation claim is a time-sensitive matter, and there could be separate cases involved in the claim. The filing rules and regulations can be complex, but an attorney can share legal advice. When an individual, organization or entity is charged with a crime, a criminal defense attorney can help navigate the criminal justice system. Criminal defense law consists of legal protections afforded to those who have been accused of committing a crime. Our attorney can discuss your legal options for a criminal defense case.